The best eyebrow ring collection for sale is from different high quality material. Stylize the arch of your beautiful brows by inserting a fantastic ring or shield through your eyebrow piercing. Many of the youngsters are adapting to this eye-catching look. Eyebrow ring collection and anti eyebrow piercing are a great way to give your appearance a complete makeover. But then, not many would like to succumb to the trend because it screams out “Bold”. Indeed eyebrow accessories are frowned upon by the conservative dressers. But if you are a cool and bohemian soul, you can give two hoots to what people has to say and come over to our online website to have a pick from our awesome eyebrow ring collection. How to Choose a Safe Eyebrow Ring Collection? If you have done an eye piercing for the first time, you need to be extremely careful about the accessories you choose. The best eyebrow collection for sale is made of different materials. The casted surgical steel eyebrow rings can be used for both eyebrow and ear piercings. The material ensures that your skin is free of any kind of infections. The bar is of 16 gauges and the length is 8mm. The ball part is of 3mm. The charming part is cast so it is even stronger and will last you for a long time. The best part about this kind of accessory is the strength and durability of the material. From the list of kinds for safe eyebrow ring collection is gold eyebrow rings. Opt for an eyebrow piercing style that is classic metal- gold. 14K gold eyebrow ring is both classic and modern at the same time. The nickel free metal definitely has an edge over other inexpensive jewelry because of its skin friendly property. Add the unique design of having a pair of solid gold eyebrow rings on either end of the barbell and you are never going to allow this opportunity go waste. The freshest and most gorgeous style of silver eyebrow ring collection is the silver barbells. It is beautiful in different shields and sterling silver. The lighter silver barbells instead and mesmerize the crowd at college with a frog leaping out of your brows or a crocodile lying serenely in it. The huge collection of silver eyebrow ring collection is the finest materials for your protection. Eyebrow barbell goes with everything and has many style options. We have bead rings, curved barbell and many gorgeous and dangling charm rings. Eyebrow piercing accessories made out of UV and steel are in very much demand nowadays. Steel provides an elegant, lusty and classy look. In addition, to its classy look, it is embedded with a number of vibrant color stones like red, yellow, etc. It’s best advised to opt for the professionals for eyebrow piercing in order to avoid any sort of infection. While getting your eyebrows pierced, keep in mind about your skin type and then move to proceed accordingly. These UV and steel eyebrow accessories are available in a number of designs and shapes. You can find these at lowest prices from the online store. 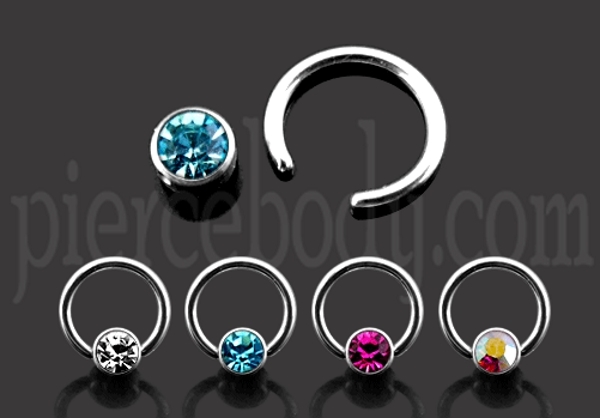 Piercebody.com has the designs that matter including the colorful, bejeweled variety. Just enter the website and come back armed with a silver barbell that is just right for you. Try out a different one every day and prepare to wow your friends and foes alike by dressing up your anodized circular barbell in gold, silver, titanium, and steel. 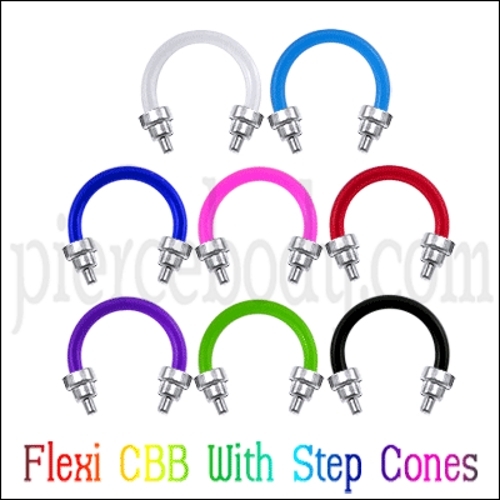 Fun shapes like a clown, musical notes or a butterfly look particularly appealing to your eyes and you are sure to enjoy yourself by sporting the colorful anodized rings and balls to your brow that remain high.